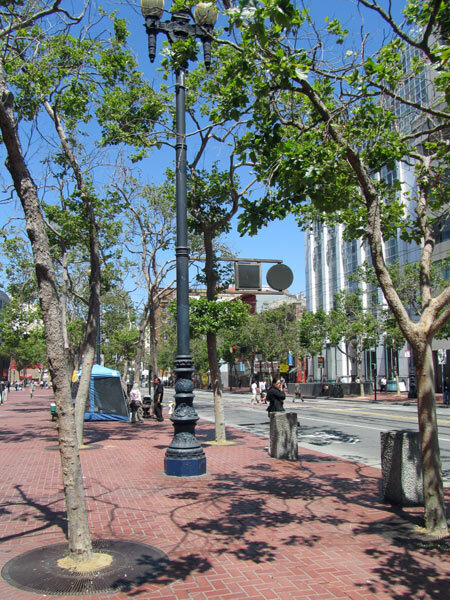 The three-mile long street traverses from its southwest end in the Twin Peak section of the city to its northeastern terminus at Justin Herman Plaza. 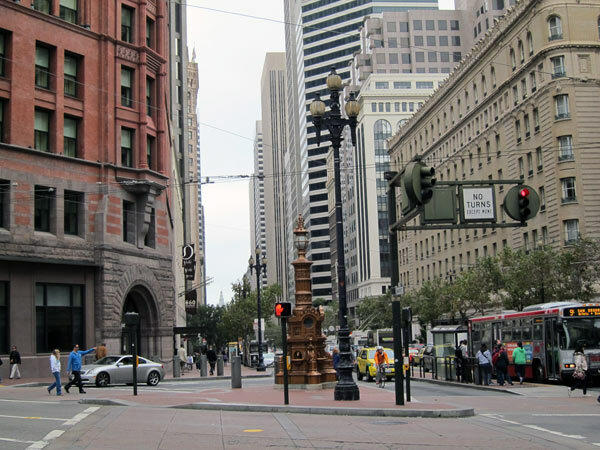 Considered the spine of the city, it has been an important axis since San Francisco’s inception, built in 1847 at 120 feet wide. 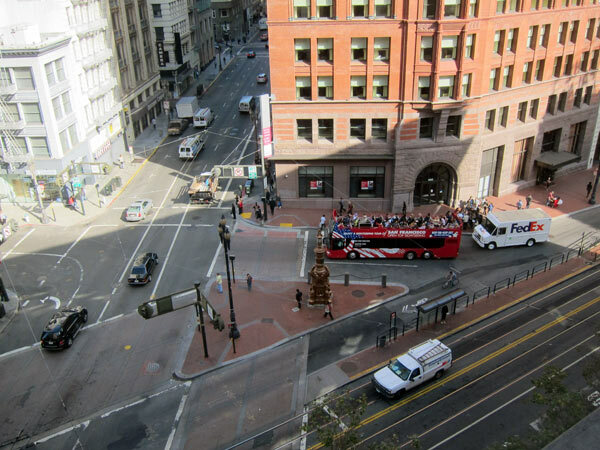 Home to the theater district, cultural activities, and commercial and retail businesses, it is also an intensive transit corridor served by BART, Muni, local and regional buses and a historic streetcar line. 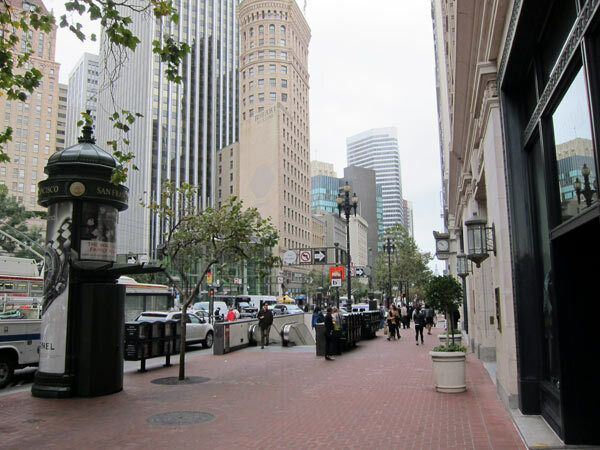 In 1962, a report sponsored by San Francisco Planning and Urbanism Research entitled “What to do about Market Street?” was prepared for the Market Street Development Project. 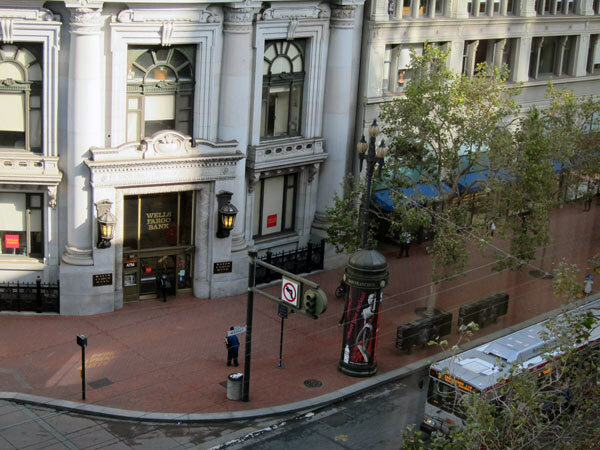 Conceived at the same time as the construction of the city’s BART and Muni systems, the report was one of a series of studies to improve Market Street. 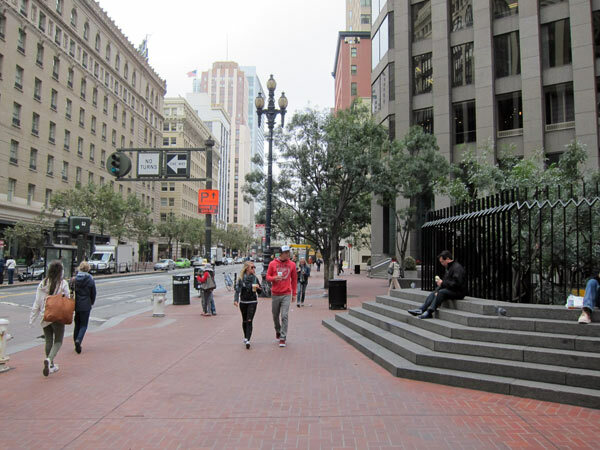 Lawrence Halprin & Associates, working with John Carl Warnecke & Associates and Mario Ciampi and Associates, developed plans for the redesign of the corridor which were executed in the 1970s and 1980s. 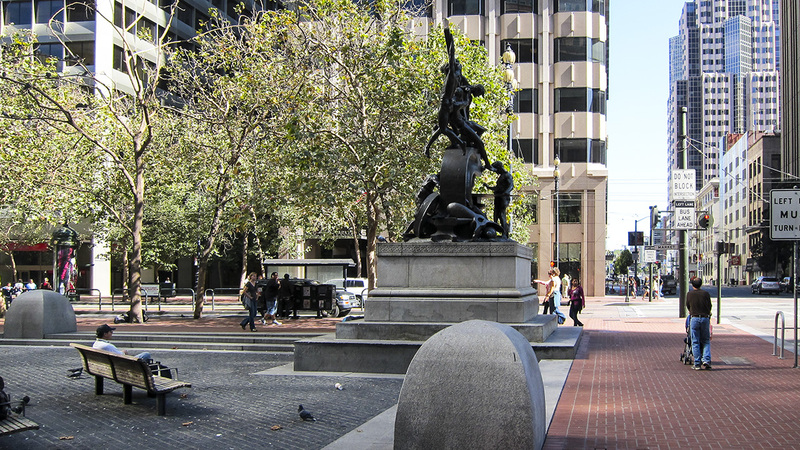 Halprin envisioned the street as a pedestrian-oriented series of linked open spaces connected by consistent paving, graphics, street furniture and plantings. 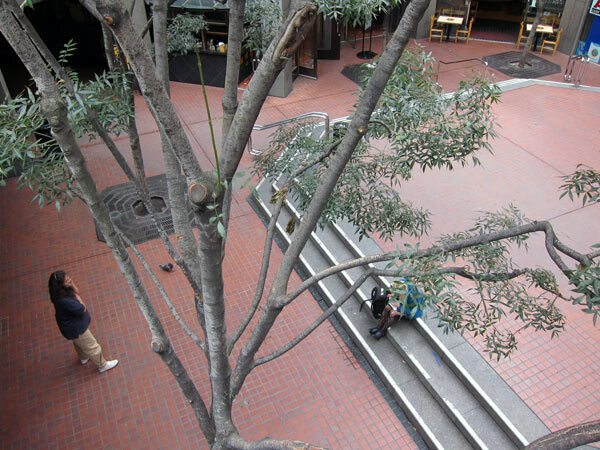 To choreograph the movement along the street he used Motation – his method for scoring how perception of environment changes depending on the speed and motion of the observer. 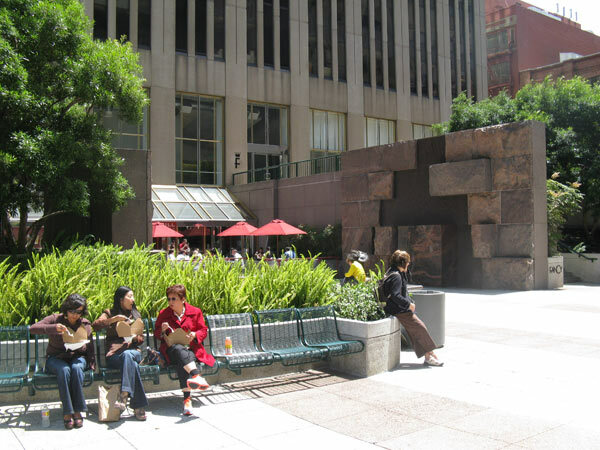 United Nations Plaza and Hallidie Plaza are two public spaces designed as part of the street’s redevelopment.